This is something I haven't blogged about, but I'm hoping this post will help at least one person. For the past 6 months I haven't been "working." I put it in quotes because I've been "working" as hard as I ever have, but perhaps not by society's standards. When my Navy husband (boyfriend at the time) got orders for shore duty in San Diego back in October of 2015, I immediately started looking for work in San Diego. I had spent 3.5 years building my career in e-commerce and had a great paying job in Seattle, a hub for e-commerce. San Diego, on the other hand, is a hub for biotech, life sciences, shipbuilding, and defense R&D (like drone and weaponry development). When it came time to move to San Diego in January of 2016 I didn't have a job lined up yet. However, we knew we wanted to get married this summer so we agreed it was best for our relationship for me to join him. There are only about two e-commerce companies large enough to have open headcount. I found myself also applying to hundreds of jobs ranging from buying shipbuilding parts for the Navy to being an ambulance dispatcher. And trust me, you don't want me answering your 9-1-1 call. Hearing about medical emergencies makes me queasy. In the meantime, I felt a huge sense of guilt for not producing income, so I got creative and found some interesting ways to make it rain. 1. Rover.com Rover.com is a dog walking/dog sitting service that connects dog owners to dog sitters. 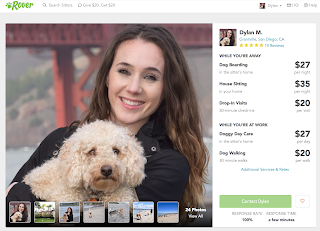 Dog owners just click the dates that they need a sitter or walker and then they can choose from the dog sitter/dog walker profiles in their area. I used Rover.com for Bentley when I used to travel for work, but here in San Diego I realized how easy it would be to offer the services, too. I've built up a loyal clientele and have a regular schedule for walking dogs. We have gotten some great long term stays as well as house sitting gigs for 1-2 weeks at a time. In my first month I was making $400-$500, but now I make $1000+/month and it's relatively passive income especially when you are dog sitting or house sitting! Rover.com takes a 15% cut, but it's a great way to build your clientele quickly. 2. CommunityCanineCare.com Basically, start a service-based company that meets the needs of your immediate community. 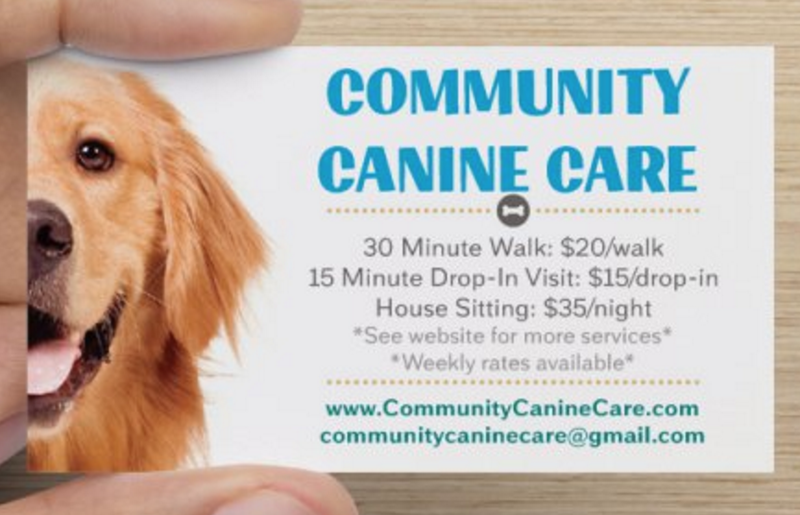 I recently created CommunityCanineCare.com to expand my dog walking/sitting/check-in business in a more profitable way. Check it out at www.CommunityCanineCare.com. As I began to build up a loyal Rover clientele and get some word-of-mouth referrals I realized how easy it would be to solicit business in the apartment communities where I already have clients. The rates are the same as my rates on Rover, however, there's no 15% cut. It just takes about 2 hours to build the website, $15 to buy the domain name, and $10 to create business cards to leave around the community. My husband and I also see this as a business we could potentially sell if/when we leave San Diego. My apartment community has 1000 homes and about 30% of those have pets. When fully ramped up it could bring in an additional $500-$3000 per month. I know what you might be thinking... omg another twenty-something who calls herself a "small business owner" because she has an Etsy store. Not so. This is really just an experiment. I will humbly admit I have only one item listed so far and ZERO sales, ha! However, for 20 cents per listing per month I felt I had to give this a shot. 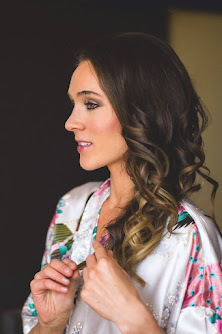 When I was wedding planning and creating all of the graphics, signs, floral decor, and bouquets for our July 1st wedding I realized how much I enjoyed physical creativity and how easy it was to create professional-looking home and wedding decor. I started by launching one item, but I plan to add more items, especially digital files of graphics and wedding signage. Hello, residual income! 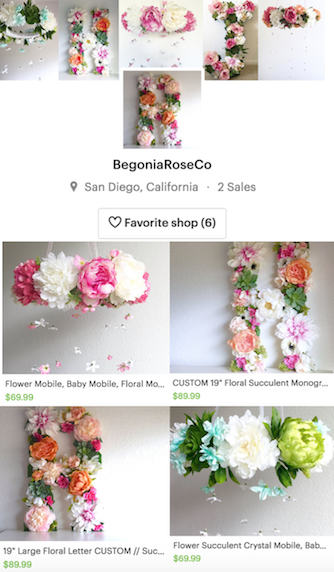 Check it out here: Begonia Rose Co.
4. Sell your stuff!! As newlyweds in our mid-late twenties we combined all of our things and realized we had multiples of nearly everything. For a few days our place looked like an episode of "Hoarders." No joke. For many bulky or non-branded items it's better to go to Goodwill and get a receipt for tax benefits, but for certain branded items, especially clothes and technical items, eBay is a great place to resell them. Remember, if you don't wear something it's just depreciating in your closet. Someone else might find it useful! For furniture we would recommend Craigslist and consignment shops. We've had success with both. 5. Thrift and resell on eBay! Go to thrift stores or places like Salvation Army or Goodwill in upscale areas (like La Jolla, CA, etc.). Look for brand new or designer items (like Marc Jacobs for $5, seriously! ), and resell them on eBay for 10-20x the cost you paid for them. If you do this with 25 items you can make an extra $500-$1000/month. The trick is doing preliminary research on brands, trends, and eBay pricing. 6. Import items from China to sell on eBay and Amazon. This is something I started doing when I was looking for good deals on wedding items. 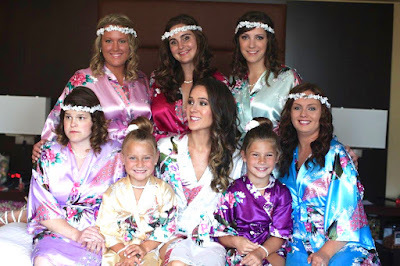 I found rose petals, bridesmaids' jewelry, flower girl jewelry, silk robes (see photo on right) and more! I realized that identical items are selling on eBay and other sites for 3-4x the price I could get direct from the Chinese factory. So I started sourcing my own items to resell on eBay. I started with two different jewelry styles and ordered samples to test first. I highly recommend using Terapeak, a platform that provides great data and insights for resellers. You can easily make $100-$500/week doing this if you find the right product to sell! Need help or have questions? 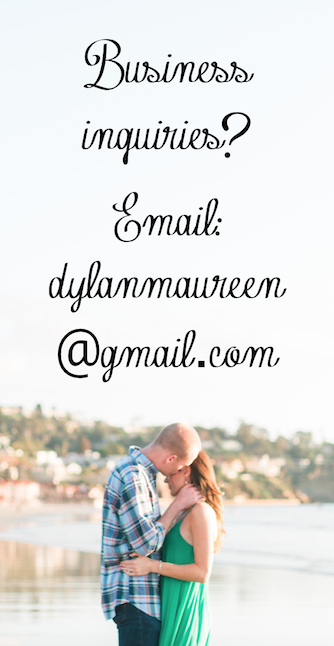 Message me!